Congratulations! It's an Area Graph! "He looks just like his father...and mother!" 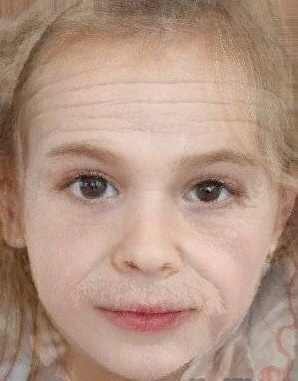 Popular morphing sites online let you visualize the hypothetical offspring of some very unlikely couples. The baby of Albert Einstein and Kim Kardashian (Kimbert?) would presumably look something like the image shown at right. 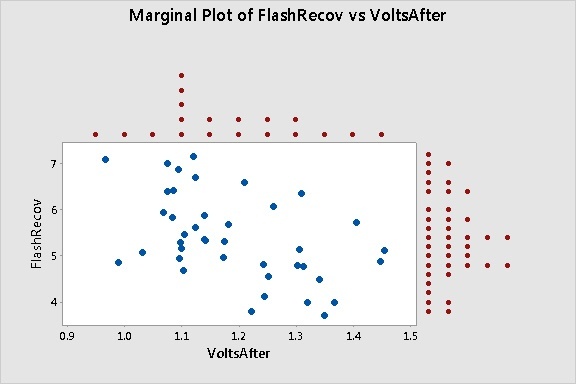 What happens if you morph the features of two different graphs? 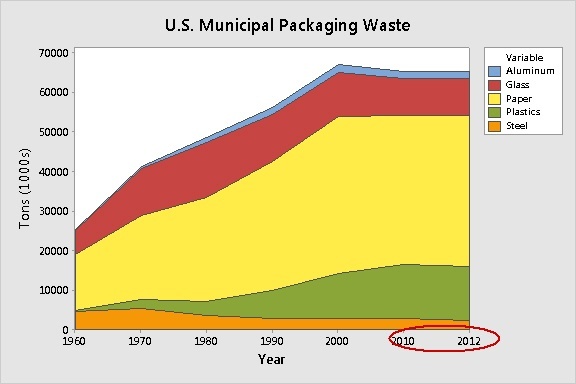 For example, what would the baby of a time series plot and a stacked bar chart look like? "Preposterous!" you say? I'd argue that the two make a very compatible match. The time series plot (Graph > Time Series Plot) is very predictable, but a bit old-fashioned and conventional. Although it has its ups and downs, it doggedly plots one point after the next, obediently following seasonal patterns and trends. In fact, it's so predictable, you can practically forecast its future. 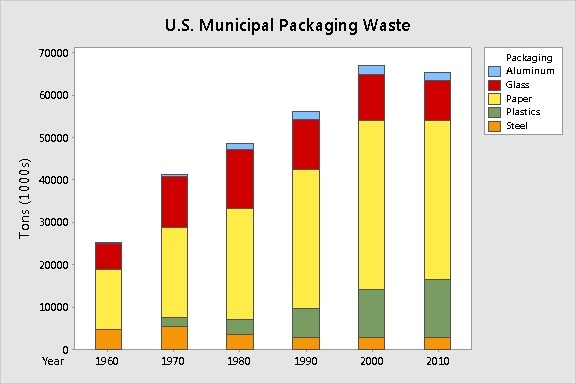 The stacked bar chart (Graph > Bar Chart > Stack ) enjoys a zesty, colorful existence. It has a snappy way of summing up data in categories. But it lacks a certain sense of continuity. If a time series plot and a stacked bar chart had a baby, it'd look like this. Recognize it? This graphical offspring is also known as an area graph (Graph > Area Graph). It combines the best features of its proud parents: The ability to plot individual points for each group over time to see trends, while summarizing the cumulative effect of all the groups. When Should You Use an Area Graph? This type of graph can be useful in many applications. For example, suppose you want to track the number of customer complaints for a chain of stores. The area graph allows you to simultaneously track complaints at each store location while summarizing the total number of complaints at all stores. You might discover that while complaints are increasing at certain locations, the overall number of complaints is decreasing. Caution: Always be sure to interpret each subsequent boundary line in an area graph as defining the sum of the categories below it, not as the individual values for a single group. The individual value for each group is represented by the "height" of each color at points along the time scale, as on a stacked bar chart). When Is an Area Graph Not a Good Choice? As the baby grows up, the parents soon learn it's not as perfect as they first thought. Sadly, the area graph has the exact same shortcomings as mom and dad. That means in situations when a time series plot or stacked bar chart is not appropriate for data, neither is an area graph. It's interesting data, but displaying these percentages cumulatively on a stacked bar chart or area graph doesn't make sense. Here's why. Examine the Y axis. The percentages don't add up to 100%. 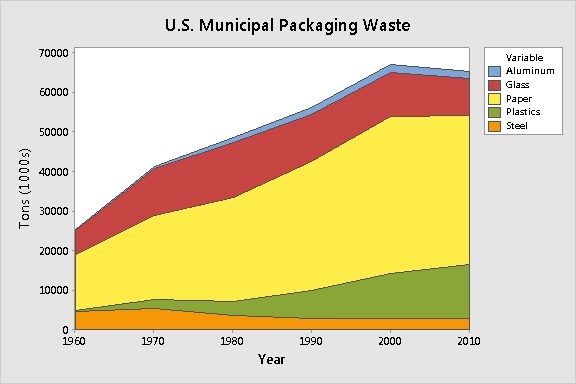 That's because the percentage for each packaging material is calculated using a different "whole." 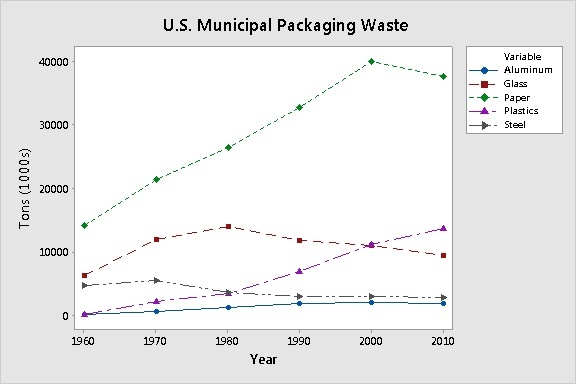 For example, in 2000, 52% of paper packaging was recycled and 58.9% of steel packaging was recycled. 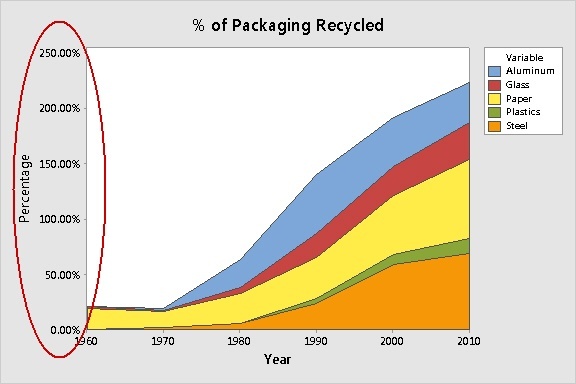 But you can't add those percentages together to claim that 110.9% of paper and steel packaging was recycled in 2000! Once you start thinking about data displays as morphs, you start to see them everywhere. 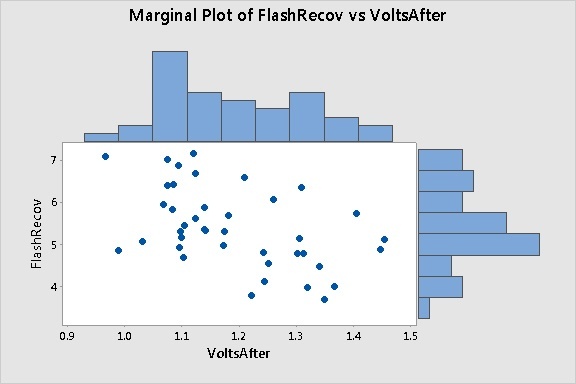 For example, Minitab Statistical Software now includes a marginal plot (Graph > Marginal Plot). 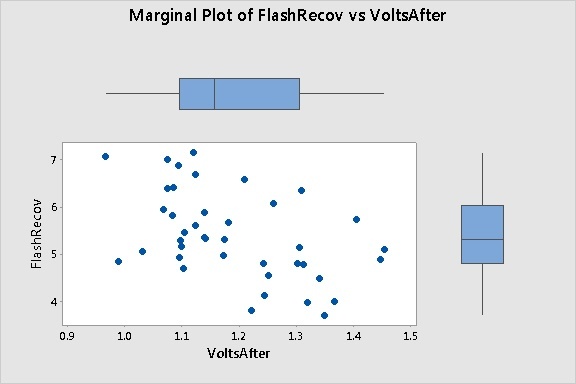 The marginal plot offers three display options. Recognize the "parents" of each one? Picking baby names can be tough. Personally, I’m leaning toward Scattergram, Scatterbox, and Scatterdot.